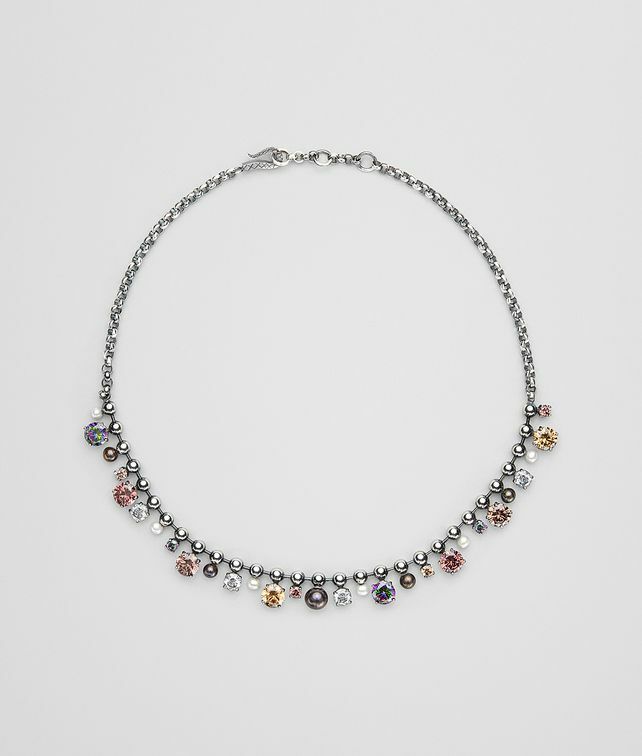 This silver necklace is new for Cruise 2019 with a fresh combination of cubic zirconia and freshwater pearls in a design that’s inspired by the stars and planets. It has a hook closure and the option of three rings to adjust the length. Length: 45 cm | 17.7"